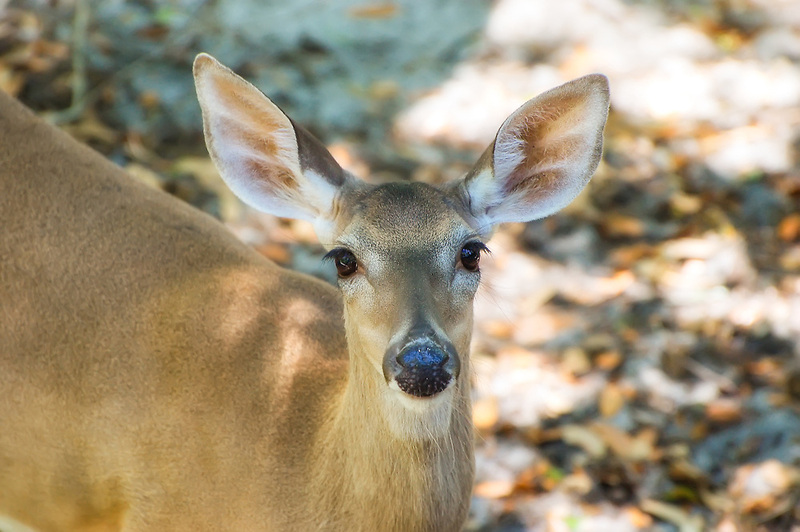 This white-tailed deer was apparently used to people as it let me get this close to it just outside of Tallahassee on the Florida Panhandle. Extremely common all over the United States and Canada, its range extends from the Atlantic Ocean and west all the way to the Rocky Mountains (fantastic natural barrier), where its cousin - the black-tailed deer completes the range all the way to the Pacific Ocean. Somehow the white-tailed deer has nearly made it to the Pacific Ocean in Canada, and has a strong toehold in all of Central American and the northern part of South America. This is a huge native range for an ungulate (deer, elk, moose family) and it has been introduced in many other parts of the word such and the Caribbean Islands, Europe and even New Zealand.